Looking for quality manufactured products in the North East? Do you have a project and need help with complicated dimensions? We can help design & plan your project ready for production. We manufacture roof & flooring trusses in-house bringing costs down for our customers using state-of-the art machinery. We deliver all our trusses to customers with our in-house delivery team on hand to help with unloading for your convenience. We continually invests in state-of-the-art technology to maintain a competitive edge and reputation for quality products. 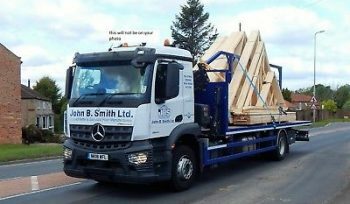 John B. Smith Ltd. are manufacturers of trussed rafters and easi-joist® flooring systems, based in Stockton-on-Tees, in the North East of England. 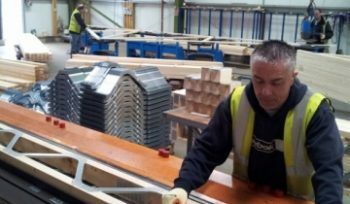 Established in 1832, one of Teesside’s longest established family businesses has been serving the key players in the trussed rafter and construction industries for over 160 years. Had to purchase over 60 joists for a comunity build project, creating rooms with spans of 10 metres. John B Smith's joists were light weight (could be moved by 2 people) and strong. 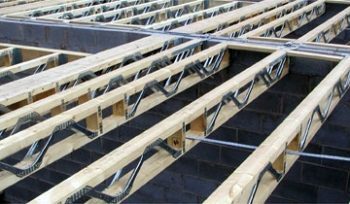 Also the company was very reasonably priced, delivered when they said they would and gave excellent support and advice in the installation and fitting of their joists. Would definitely use them again. Great friendly staff. Fantastic company and I highly recommend. Fantastic service - We are re-building a bungalow into a large house and employed an architect and a structural engineer who both made mistakes with the design of the roof. Our contractor went to Andrew Stainsby at JB Smith who re-designed it and fixed it, despite it being a highly complex roof which he had never seen. The service is first class and I cannot recommend them enough.